We are in the tourism business since 2009. 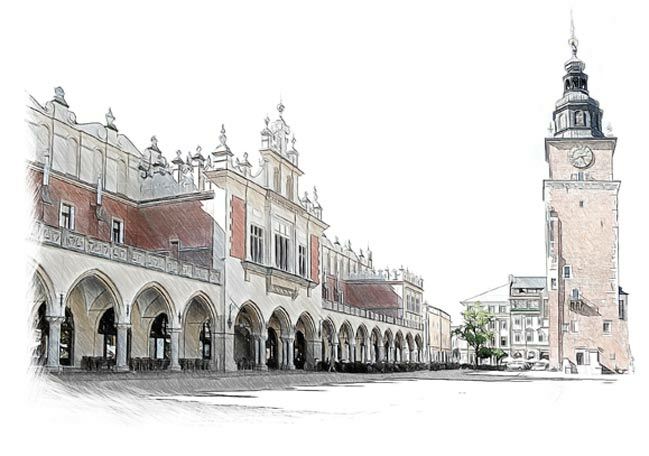 More than 100 000 tourists visiting Cracow have already trusted us. We offer tours to the most popular places in Poland, sightseeing in Cracow with its surroundings, as well as transport services. The most important thing for us is your satisfaction. Our experienced team is at your service every day from 8 am until 10 pm. Should your plans change, you have the right to a free cancelation and full refund up to 24 hours from the beginning of the tour. Our adventure with the local tourism business in Cracow started in 2003. Initially we would show our beautiful city to tourist from all around the world working for an external agency. In 2009 as a transport company working under its own brand, we would offer mobile tours by electric car in Cracow, airport transfers as well as transportation services to the most popular places in our region. Since 2015 under the name SuperCracow we offer comprehensive tourism services. As a licenced tour operator, we offer trips to the museum Auschwitz-Birkenau, Salt Mine Wieliczka, Zakopane, Częstochowa, Wadowice, as well as shooting range, thermal pools, rafting on Dunajec river and many more. A complement to our offer are transport services, airport transfers, Kraków Balice, Katowice – Pyrzowice, Warszawa (Okęcie, Chopin airport). What’s more, we offer transportation services in the territory of Poland as well as neighbouring countries. We invite you to get acquainted with our offer.